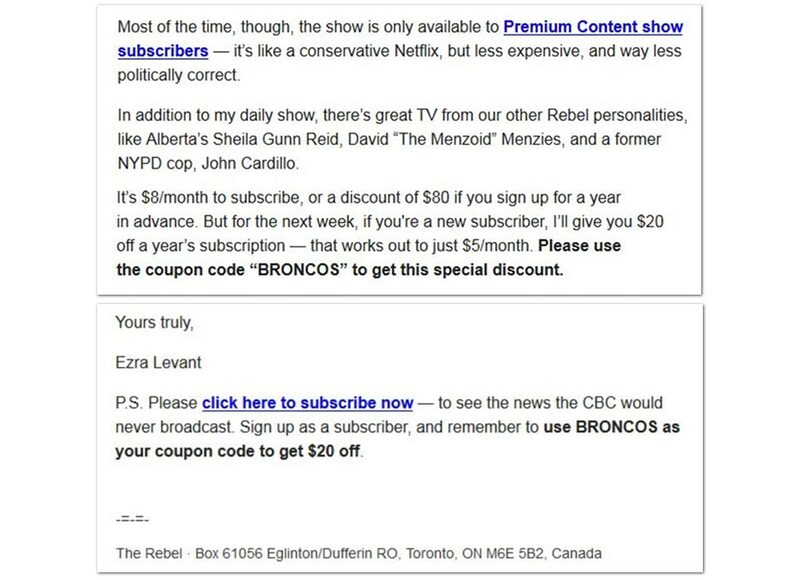 Is there anything Rebel Media won’t do for a quick buck? 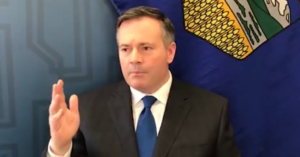 On the same day as Jason Kenney’s current and aspiring United Conservative Party MLAs were lined up to speak at a Calgary rally organized by the alt-right website, Rebel Media’s Ezra Levant is using the tragic deaths of a Saskatchewan junior hockey team to hawk $5/month subscriptions to access “premium” Rebel content. To illustrate his point, Levant points to a tweet from freelance writer Nora Loreto asking why the same sympathy extended to young, white, male hockey players isn’t extended to young Indigenous women – a tweet later attacked by Jason Kenney, Sarah Palin and right wing media, causing Loreto to be targeted with death threats. I only expect the most vile behaviour from Ezra Levant but damn!!! Levant, on the other hand, has been accused of ambulance chasing more than once. In January 2017, Levant was roundly condemned for using a white nationalist terror attack on a Québec City mosque that left six dead as an opportunity to raise money. 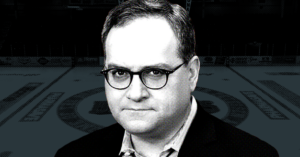 Although Levant promised the money would be spent helping ex-Rebel Media host Faith Goldy, who has well-documented ties to neo-Nazis, question whether the murderer, white nationalist Alexandre Bissonnette, was the real shooter or whether there was a second shooter – and by that, Levant meant a “Muslim” shooter. Bissonette has since pleaded guilty to six counts of first degree murder and 40 counts of attempted murder. Last week, a court released video of Bissonette’s confession to police, which included statements indicating he struggled with mental health issues and was influenced by anti-Muslim rhetoric in the media.